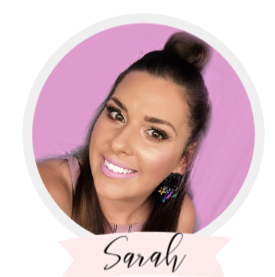 I've recently signed up for a new Australian subscription box that was recommended to me by some fellow beauty lovers. The Parcel is Marie Claire's Luxury Beauty Box that is delivered four times a year, and includes a box of deluxe sample sized or full-sized beauty products. I chose a seasonal subscription for $25 per box. It's more expensive than many monthly subscriptions such as Bellabox or Lust Have it, but personally I'd rather receive a box less often if it is filled with more high end items or full-sized products. In my experience, the monthly subscription boxes I've tried in the past were very disappointing and contained very small sample sizes or foil packets and were manly focused on hair and skincare rather than makeup items. If you're interested to know what was in my box this month, as well as my first impressions of these items, keep reading! When I opened up my box from The Parcel, I was pleasantly surprised to find five full-sized items, and three generous sample sized items. On first view, I thought it offered a nice mixture of beauty items, mixed with skincare from well-known brands. I've never tried many skincare products from Lancôme before, but it is a welcome addition into my skincare routine, as this is a very high-end brand and probably not something I would normally get the chance to try without shelling out a lot of cash! This serum is supposed to smooth the skin and make it look more radiant. I haven't used this yet but I'm hoping to see some good results. I love trying out new mascaras, and this short, bristled, plastic wand looks great for packing on the volume. It's the kind of brush that I generally prefer and the formula looks to be black and pigmented which is what you'd want in a mascara. I don't have many other mascaras from Max Factor so I was also happy to see this product in my beauty box. I am such a huge fan of base products, and BB creams always come in handy for days when you don't really feel like wearing much makeup but you still want to even out your skintone. I haven't tried this one out yet but I am interested to see how it works on me. I received the shade medium and have swatched it on my face and it's a perfect match. I do feel that other recipients of this bb cream would be annoyed with receiving this shade since it is the darkest shade that is offered and won't suit everyone. As soon as I opened up my box, there was a very strong floral scent coming right at me and it was from this triple-milled soap from Mor. Personally, I found the scent to be very overpowering and unpleasant. I don't mind fragranced soaps, however I tried to use this once in the shower and I found the scent to be overwhelming. For those with sensitivities to scents, this is definitely not something that you would enjoy. I really like the brand Mor, but I would have preferred to receive a candle or even a body wash over a scented soap in this box. This was probably the biggest surprise product that I noticed when going through this season's the Parcel box, and I was so excited to finally try a hand cream from L'Occitane, who are quite well known for their luxurious products including their infamous hand creams. This is a gorgeous light, rose scent that I've been loving so far. I've popped mine into my handbag, and I think most people would have appreciated seeing this in their beauty box as it's the perfect size for travel or on the go. Both the Blue Neutrogena Makeup Wipes and the Purple pack have been my personal favourite makeup wipes for several years now! They are a little pricier than some other makeup wipes but I find them to really work well and removing all my makeup and they don't burn under my eyes. It's always nice to have a travel pack to throw in your purse or your gym bag so I really appreciated seeing these in the autumn box. This razor was the one I am currently using in the shower, so I was happy to have a replacement razor! I like these razors because they have five blades for a close shave and a water-activating moisturising strip which keeps the skin feeling smooth. This may not be a good item to include for people that wax but you could always pass it on to someone else to use. I've actually used this product already a few times, and I really have been enjoying it so far. At first, I thought it was a facial moisturiser or primer, the creamy consistency looks white, but once applied it adjusts to your skin tone and provides additional coverage. I have been using it as a bb cream/primer before I apply my regular foundation. It feels great on the skin and adds some extra moisturisation and radiance. I am curious to know how this product would adjust to lighter skin tones, sometimes universal shades might not work for everyone. Well, that is my unboxing and first impressions of this season's The Parcel - I hope you enjoyed it! Overall, I was extremely impressed with my box and besides the overpowering soap, there weren't any products that I was disappointed to see. I think the bb cream in the medium shade may have been an issue for other people with lighter skin tones, but the universal skin cream was a great idea for a product to suit everyone. I would have liked to see at least one colour makeup product like a lipstick or a blush, but so far I am really enjoying this subscription and am looking forward to seeing what is next. Have you tried The Parcel? What subscription services are you signed up for? Hmm I may have to sign up for this.. Looks like a really good deal! !